In an interview with the Springfield State Journal-Register, Republican candidate for Treasurer Tom Cross talked about his priorities and how as Treasurer he will help turn the State of Illinois around. All those interested in the most pressing issue facing our state - the financial well-being of our State Government - should take notice of what Tom Cross says will be his top priority: an honest, balanced budget. “The concept of a balanced budget is one we have not honored, and I think the treasurer’s office has the ability and the standing to go to court if the treasurer needs to enforce the ‘balanced budget’ part of the constitution,” Cross said. 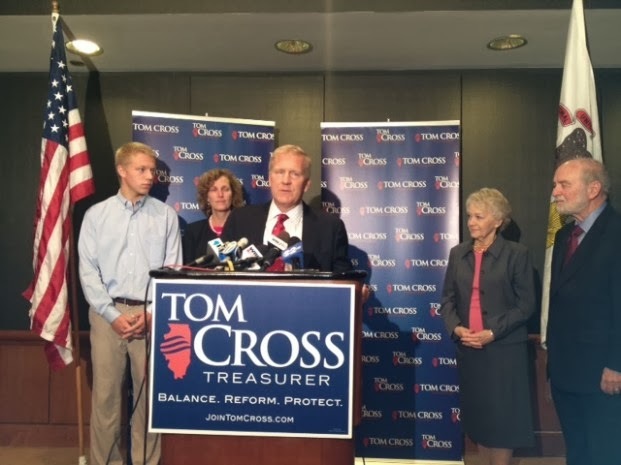 Republican Candidate for Treasurer Tom Cross has also put up a call-to-action around the idea of enforcing an honest, balanced budget where voters can sign a letter calling on State Leaders to restore fiscal sanity and live within an honest, balanced budget. You can sign the letter at http://www.honestbalancedbudget.com/.